Timeless and traditional, this file cabinet is a step up from the standard metal types. 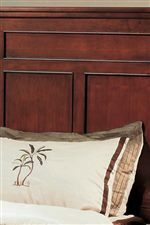 This piece is crafted from cherry wood and veneers with a hand-rubbed finish. 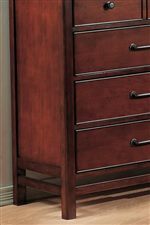 It is distinguished by its antique-style hammered hardware and fully finished drawers that have metal ball bearing glides and English dovetail constructions. This piece features a secretary pull-out that can be used to quickly sign checks, address envelopes, etc. The Willow Creek 22" File made of Cherry by Winners Only at Crowley Furniture & Mattress in the Kansas City Area: Liberty and Lee's Summit, MO & Overland Park, KS area. Product availability may vary. Contact us for the most current availability on this product.